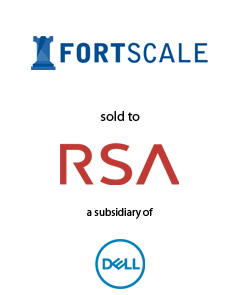 AGC Partners is pleased to announce that its client, Fortscale Security Ltd., provider of the industry’s first embeddable user and entity behavioral analytics (UEBA) engine, has been acquired by RSA Security LLC, a subsidiary of Dell Inc. With a team led by Maria Lewis Kussmaul and Alejandro Yu, AGC Partners acted as the exclusive financial advisor to Fortscale. The acquisition of Fortscale expands the RSA NetWitness® evolved SIEM platform with UEBA capabilities, helping customers reduce human intervention and dwell time, and effectively neutralize threats. By providing higher fidelity alerts based on identities and behaviors, security teams can better prioritize and respond to threats before they impact the business.